Despite the fact that it was disproven 160 years before he wrote it, in 1968 Garrett Hardin wrote his pessimistic scare-paper called "tragedy of the commons”  to regurgitate and repopularize the disproven ideas of Malthus and Lloyd, with the intent of (his words) drawing attention to, "the damage that... individuals can inflict on the environment”. Hardin preached to the gullible, "Freedom in a commons brings ruin to all” (or the corollary, "tyranny can save us”). It was shredded by the academics of the era (including Nobel laureates), as they’d proven the wealth of the commons, and how common lands usually over-performed government controlled resources. But in the environmental movement, feelings are more important than facts, so Hardin is often quoted in revered tones anyways. He might have been completely wrong, and done poor academic research, but he gave good feels, and that's what's really important. (To some). His irrational belief in human over-population led to him writing on controversial subjects such as advocating abortion rights, eugenics by forced sterilization, and strict limits to strict limits to non-western immigration. In 1974, he published the article "Living on a Lifeboat" where he argued that contributing food to help the Ethiopian famine was self defeating, since they'd just overbreed and come back with a bigger famine. (Which did happen, but not for the reasons he predicted: Ethiopia's problems were more political than population centered). While his views were popular with the left in the 1960's, they fell out of vogue later. 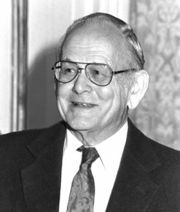 Hardin was also part of the assisted suicide movement ("die with dignity"), and he and his wife committed suicide together in 2003. There was a controversy over a book called "The Bell Curve", because the Author (Richard J. Herrnstein and Charles Murray) explained that human intelligence is substantially influenced by both inherited and environmental factors, and it is a better predictor of many personal dynamics (income, job performance, out of wedlock births, involvement in crime) than is parental socioeconomic status. It went on to explain generally accepted observations on how people in populations are not all the same in many metrics, and that in science (statistics/observation), we've noticed that some races under or over perform on IQ tests relative to others. For claiming both nature and nurture matter, the snowflakes on the left lost their nut (again), claiming that repeatable studies were just racist diatribe. Linda Gottfredson wrote a paper (published in Wall Street Journal) that defended the science in the Bell Curve. And Hardin was one of 52 signers of that. So Hardin was all over the place. He was demonstrably wrong on his plagiaristic Tragedy of the common observations. He was too extreme in his solutions to his fanatical belief in overpopulation. But he also alienated the far lefties of his time and later, and he was willing to take unpopular stands to defend his views (like on The Bell Curve).